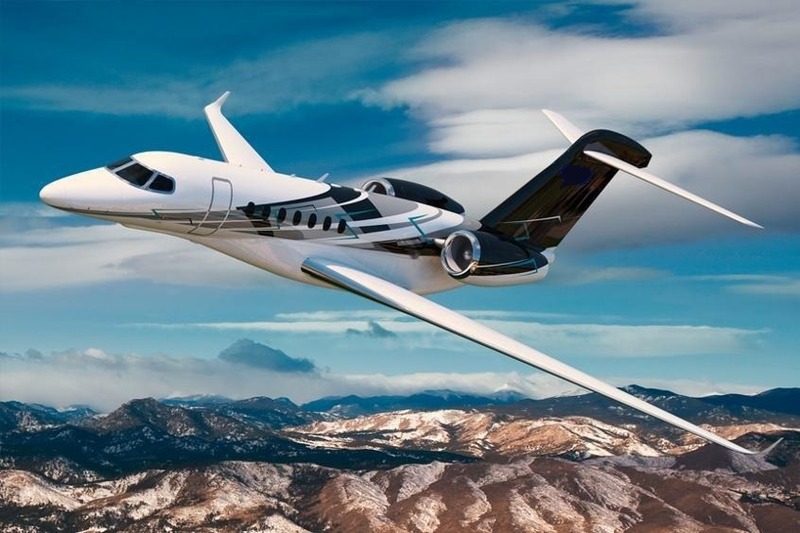 The Citation Longitude is a revolution in business aviation. No super-midsize business jet gives you more range, greater payload or higher cruise speed at a lower total ownership cost. The Citation Longitude has the quietest interior with the least amount of sound energy passing through the cabin. Its double club configuration affords the most legroom in its class, providing passengers with maximum comfort in flight. Designed specifically for our new larger-cabin line, the fully berthable seats come with leveling and panning ability.Natural light is in plentiful supply with 15 large windows positioned for optimal viewing. While you’re enjoying the view, you and your team will stay connected and productive utilizing the standard internet and cabin management system. The baggage compartment can hold up to 1,115 pounds and 112 cubic feet of cargo. The cabin seats up to 12 passengers. The Longitude has a maximum cruise speed of 476 ktas (882 km/h) and a maximum limit speed of 0.84 mach, making it one of the fastest private jet on the market. It has a range of 3,500 nm (6,482 km) with 4 passengers.